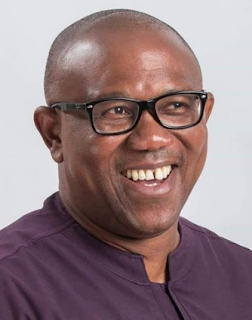 Chief Peter Obi, Vice Presidential candidate of the Peoples Democratic Party (PDP) has said his position would not clash with that Gov. Willie Obiano if elected. “The work of the governor and that of the vice president are parallel but complimentary. “While he will be in Anambra tending to state needs, I will be in Abuja making sure that the Federal Government carries out its obligations to all the states in Nigeria, including Anambra State. “While he works on state roads, for example, the Federal Government will work on Federal roads, the Second Niger Bridge and other federal projects. “In matters like this, the welfare of the people should be the leading principle and our individual concern. “I thank God all the Igbo leaders we have visited are on the same page. From our interactions with them, it is clear they see it as a task that requires unity of purpose because its success will be ours as well as that of the entire country,” he said. Obi said Nigerians should eschew hate attitude towards one another and realise that every part needs the other for better welfare of all. “Now is not the time for exhibition of hate,” he said. It would be recalled that Obi, a two term governor of Anambra on the platform All Progressive Grand Alliance (APGA) was instrumental to the victory of Obiano in 2014. There has been no love lost between the two gladiators following some seeming misunderstandings. Obi withdrew his support for Obiano in the 2017 governorship poll in Anambra for Mr Oseloka obaze, candidate of the PDP in that contest.